We've partnered with the fabulous Maisonette, an online children's luxury brand retailer, to create paper goodies for kiddos (and their parents!) to enjoy. We launched our partnership with a Back to School line and have since created seasonal collections. Keep up with us to see what we come up with next! Clever and conceptual, our new line of designs at Paperless Post offers the perfect dose of wit. While we are Paper People, we all know there is a time and place for an electronic invitation (think: your daughter’s third birthday, casual office holiday party, etc). And in case you didn’t know, Paperless Post now offers paper too! All of our designs are offered electronically and in print. We partnered with Galison to create greeting cards! Whether it's to say happy birthday, congrats, or just "hey!" these greeting cards have our CBP signature whimsical and interactive elements. All boxed sets come with stickers to personalize your card. Our "Write On!" designs come with pens to personalize, or surprise your snail mail recipient with one of our "Expanding" cards. there has been much collaboration ever since! In 2010, CBP helped Darcy bring her passion for illustration and celebrations to life at her first gallery showing, titled “Family” at Partner’s and Spade in New York. And now, a much anticipated book, Celebrate Everything! Busy parents need easy party planning! 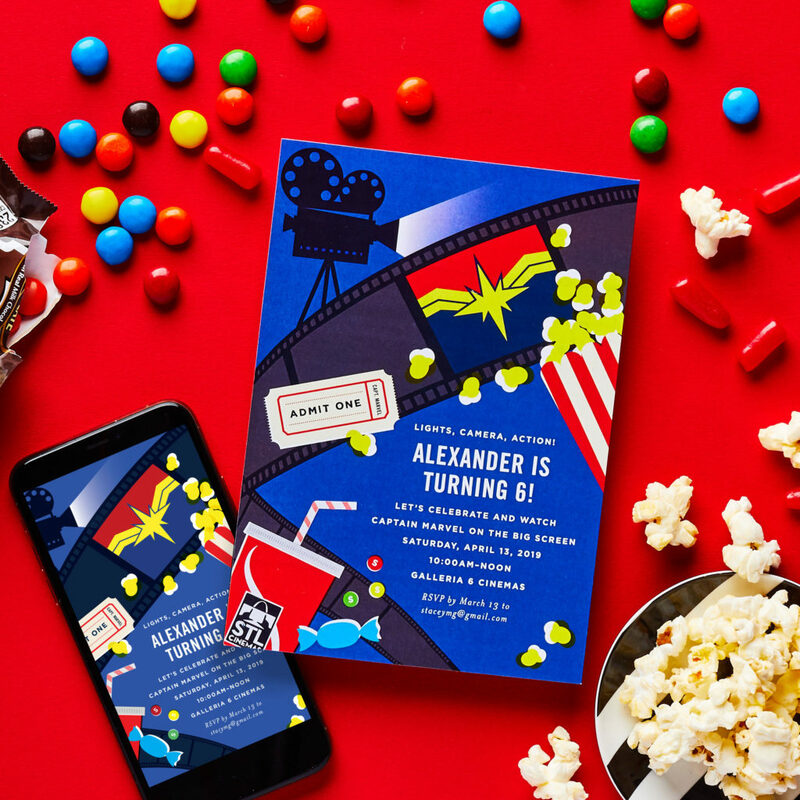 So we're pleased to partner with STLCinemas because they offer movie theatre rental for kid's birthday parties. And we've got the invites! We customize them with the child's name, age, and any party particulars. Not to mention, we develop illustrated icons to match the featured film. Parents can send a designed electronic e-vite or an invitation in the mail. If you are interested in a party at STL Cinemas, contact Rachel Sokolich at [email protected]. Pass the popcorn!